I just got back from a three month work stint in Asia. I was based in Singapore, but travelled around the area a bit and got to see China, Japan, Indonesia, Malaysia, and Korea. Some for a short time, some for a longer time. All of this time was spent living in hotel rooms and carting around luggage. Unfortunately I had to do work during this period also, so it wasn’t three months of vacation. Lots of good food, and an overall good experience. I did manage to take pictures during my free time, and I’m sorting through them now. 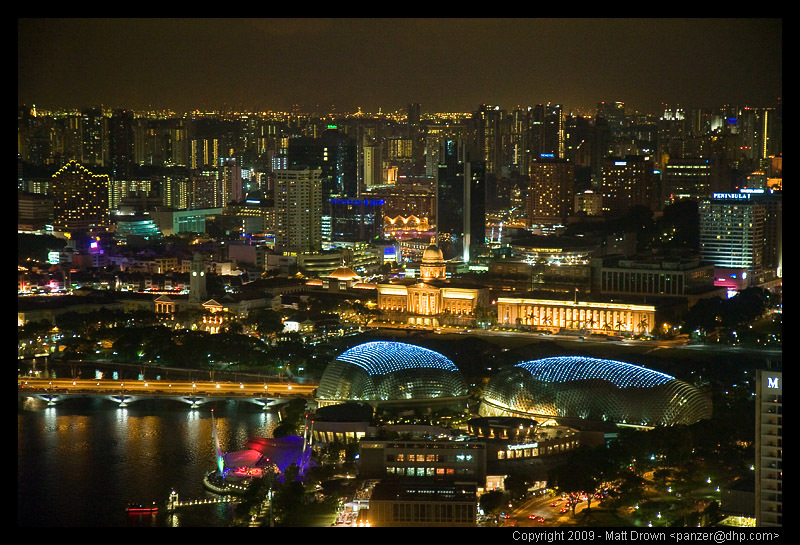 To whet the appetite, here’s a night shot from the Singapore flyer.